Building a strong business starts with smart organizational development. By reading this you will gain insight and understand the importance of developing your team or organization by making your team's work "brain compatible." We will also look at some reasons why most corporate cultures fail miserably to take the needs of their employees into account. Anyone who has built a business or managed others in a group setting understands the difficulties involved in getting everyone on the "same page." They throw money, energy, and time out the window because of poor training programs and a lack of communication skills. These factors lead to a business culture full of unhappy unfulfilled employees. If you're tired of working "against the flow" to attract and train your organization, it's important to discover how the principles of attraction marketing can change the way you build you business. The indication about corporate culture is that a career within the walls of large business is largely unrewarding and full of discontent. This seems to spit in the face of organizational development. How are you supposed to build a highly efficient team or organization with unhappy unfulfilled employees forming the core of your business? The best companies simply hire and retain better employees. . . employees with the capacity for job satisfaction and career development. People strive to do work they enjoy. People want to be around people who enjoy the work they do. Successful organizational development seems to be a case of simple physics. But why, if it's so simple, do people still hate their jobs and we find so many businesses looking for good ways to develop their organizations? Many studies show, the highest performing companies find, encourage, and develop a culture of organizational learning. These companies accept, embrace and make the most of change when it occurs. But few companies meet these standards. Want to build a great organization? If so. . . you must recruit All-Star employees, and build trust between them. 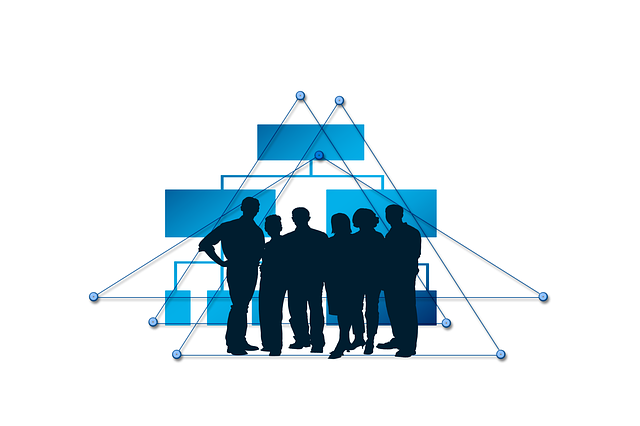 Individuals make up the teams which are the building blocks of every business organization in the world. Developing your organization by enriching the lives of the individuals that form your teams. Through effective employee training and development you can ensure a more productive workforce. But what do individuals need? This might be an unpopular statement, but we can say the people in the higher levels of organizations generally don't seem to care about the needs of the individuals beneath them. The employer/employee relationship is fundamentally antagonistic. This isn't a personal slight against higher level business management, it's just the way it is. What if we changed the model by which most organizations are run? We demand much from our lives. We expect the lights to come on when we flip a switch, we expect our cars to run when we turn the key, we expect the faucet to flow when we turn the handle. But in our everyday working lives, we accept substandard behavior from others (and ourselves). The operation model that many of us live by in our working lives, doesn't work to maintain peace and harmony in our personal lives. You live in a competitive world. . .
. . . through intelligent organizational growth and development, you can use your competition to your competitive advantage. The most significant shift you can find in your business is when you develop a strategic mindset. Make other peoples' need your first priority, this drives your business' development. Organizational development connects with team building.